Brooklyn Nine-Nine is a beloved show by many. The series introduces a well-developed cast and creative, as well as, vocal storylines. Over the seasons, the show only got better and better with its footing. They tackled issues of racism and recognized the importance of the LGBT community. With a huge following and support from other celebrities who enjoy watching our friends over at the 99th Precinct with their hilarious antics, it is no wonder the show is such a huge success. However, we were shocked by the news back in May that Fox canceled the sitcom. Fans were left devastated and angry, wondering how the network would justify this move. As if their prayers were answered, NBC picked up on season six. All was right in the world again. With an original 13 episode-order for the new season, NBC recently announced that they would extend to 18 episodes. NINE-NINE!! The show is nothing without its cast members. 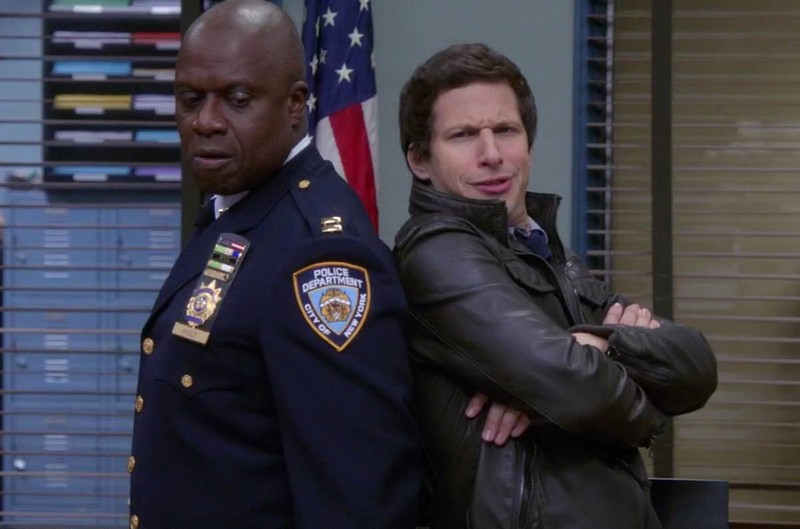 Andy Samberg has established himself as the lead character, Jake Peralta, a goofy, yet brilliant detective. Andre Braugher made his comedy debut as Captain Holt of Brooklyn’s finest cops. With such a great ensemble, it is hard to argue who is the heart and soul of the show, as they are all important candidates who make it work. With the original cast heading over to NBC, there is one we cannot bear to part with. 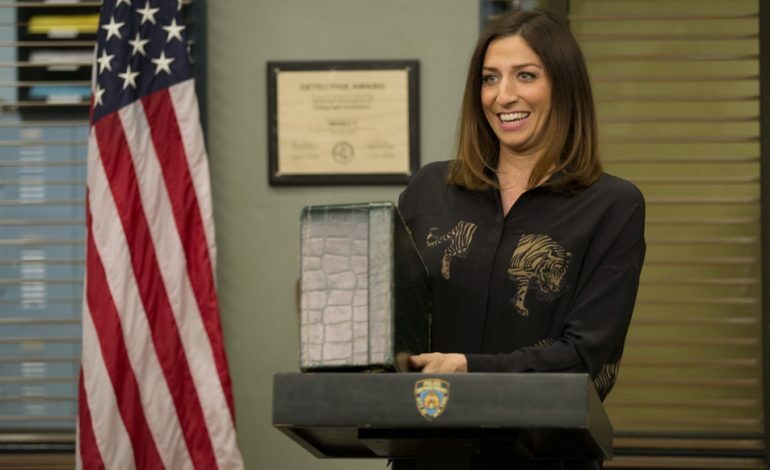 The precinct’s favorite civilian administrator and Holt’s personal assistant, Gina Linetti (Chelsea Peretti), will be leaving. Peretti announced it on her Twitter account earlier today. Series creator, Dan Goor, also took to Twitter today to share his thoughts. Both Peretti and Goor’s tweets hint at a possible return for Peretti’s character in the near future. Although it feels like a huge loss for the show, the remaining cast will surely keep Gina’s memory alive.